In hard times, it is easy to feel as if there is no hope. But Christ's work on the cross gives reason for hope even in the darkest of times. The Bible says that each of us has been created by God...that he loves us...and that he wants us to have a fulfilling life. "I came that they may have life and have it abundantly," Jesus said.1 He meant a life that goes beyond "mere existence" to a fulfilling life lived in harmony with the Creator's knowledge of us and his desires for us. God offers this hope to you today. To accept his offer, begin by admitting that you are a sinner separated from God and in need of his forgiveness. Then trust only in Christ to save you from the consequences of your sins. Believe that Jesus died for your sins on the cross, and was raised from the dead in order to conquer death, bridging the gap caused by sin between you and God. Accept Jesus' offer to come into your life as your Savior. "Dear God, I admit that I am a sinner and need your forgiveness. Thank you for sending Jesus to suffer the punishment that I deserve for my sins. Please help me every day to turn from my sin and live a life that pleases you. Thank you for your gift of eternal life and for the hope I now have in you. Amen." Scripture references (ESV): 1 John 10:10, 2Romans 3:23, 3Isaiah 59:2, 4Romans 6:23, 51 Corinthians 15:3-4, 6Romans 3:23, John 3:36, 7Romans 8:35,38-39, 8Romans 15:13. Hope For Hard Times - Tracts - Pack Of 25 by Good News Publishers was published by Crossway in August 2009 and is our 163rd best seller. The ISBN for Hope For Hard Times - Tracts - Pack Of 25 is 9781682161159. 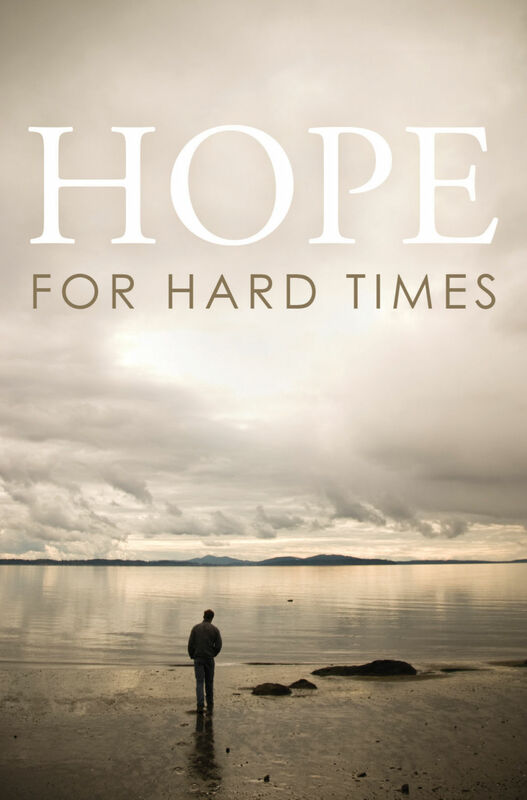 Be the first to review Hope For Hard Times - Tracts - Pack Of 25! Got a question? No problem! Just click here to ask us about Hope For Hard Times - Tracts - Pack Of 25.